Welcome to our guide on choosing the best cordless drill for your particular needs. There are a lot of cordless drills on the market so deciding which ones are worthy your money can be frustrating. We review several drills that we feel are worth your money. We hope you agree. The drill is an integral part of any modern toolkit, and is used for all sorts of tasks ranging from home improvement to construction work. One of the most common tools in use today, a handheld drill gives its user the power to drive nails through hard surfaces such as wall, wood, concrete, or even metal. It also allows you to replace the screwdriver since most modern drills come with detachable drill bits, you can easily replace one of the multipurpose bits with a screwdriver bit and drive screws into projects within seconds. It can also be used for removing screws, since power drills are equipped with a reverse spin function that comes in handy when you want to take apart furniture or remove screws from a machine. Your cordless drill can also be used as a hole saw to cut out holes for doorknobs, sink faucets, drains, etc. Or, you can use it to install drywalls. Handheld hammer drills come in handy when you want to drill through stone or concrete, these drills introduce a special vibrating motion along with the usual rotary movement of the drill bit. Kind of like a jackhammer and drill combined into one unit, the hammer drill allows construction workers to bore through concrete and marble slabs with relative ease. Cordless hammer drills also come in handy while working on outdoor furniture. Cordless drills are great for driving nails/ screws, and for creating pilot holes in wood. They can be used as hole saws and come with a variety of drill bits that let you drill small, medium, and large holes through the material of your choice (wood, plastic, metal, stone, etc.). But did you know that drills can also be used for sanding and grinding? That’s right, instead of using flat sandpaper or grinding blocks, you can simply slap on a sanding drum onto the chuck of your cordless drill and smooth out even the most irregular of surfaces within minutes. If you happen to be working on a project that involves rusted metal but don’t have a handheld angle grinder, simply attach an adapter to the drill that lets it accept wheels designed for angle grinders. If it’s just some light rust removal work, pick up a brush bit and use it with your cordless drill to gently scrape away rust from steel tools and other household items. There are plenty of crafty uses for handheld power drills, for example- you can use the cordless drill on its slowest speed setting to straighten bent wires and cables. If you wish to run multiple wires along the same length, place them in your drill chuck and give them a nice little spin which should result in finely intertwined wire. One of the most creative uses for a power drill is creating reliable, hidden joints with the help of pocket- screw jigs. You can use these to build furniture, frames, etc. with angled joints that stay hidden from sight. You can combine a pocket jig and standard screws to securely join pieces of wood within minutes. By now you have learned how amazingly versatile the handheld power drill is- it can be used for drilling, sawing, sanding, grinding, blending, creating joints, and much more. However, if you aren’t an experienced DIYer or trained professional, it can be very hard to select the right kind of drill from among the thousands of options available for purchase in the market. But worry not- that is exactly why this article exists, to provide you with the necessary knowledge that will enable you to choose the best cordless drill for yourself. Why a cordless drill you might ask? Well, most homeowners and DIYers should find the cordless drill more than enough for general tasks. Modern cordless drills are extremely powerful and lightweight, and give you the option to carry them around with you wherever you go. They accept all kinds of attachments and are compatible with a wide variety of drill bits which should cover all the needs of an average homeowner. We will get into more details and discuss corded vs cordless drills in a later part of this article, right now let’s take a look at some of the best cordless drills on the market. These models were chosen on the basis of their performance, reliability, and user-friendliness. We also took into account multiple reviews from certified buyers, and have arranged a list of cordless drills which cater to the needs of both enthusiasts and professionals. Best cordless drill and driver. Variable Speed: Allows countersinking without damaging material. Lightweight, powerful, and easy to use- the BLACK + DECKER LDX120C has all the qualities of a premium cordless drill, packed into a compact and affordably priced package. Powered by a 20V MAX Lithium Ion battery, the LDX120C is ideal for a wide range of applications. It can be used tpurchaseo drill holes in materials such as metal, wood, and plastic. The keyless 3/8” chuck will accept a wide variety of drill and screwdriver bits, allowing you to switch between drilling holes and driving screws on the fly. There are many other similarly priced drills on the market from competing brands that use a similar 20V lithium ion battery platform, but the one thing about the BLACK + DECKER LDX120C that truly distinguishes it from every other entry- level cordless drill on the market, is its amazingly compact design and balanced weight distribution. The grip is almost perfect, and most of the mass is centered around the axis of the handle, giving you a sense of stability and confidence while working with this drill. It measures about 7.5” from the tip of the chuck to the back of the rear housing, and stands at 8 inches tall with the battery attached. Weighing in at a mere 2.5 pounds, this drill is very easy to handle, and you can conveniently move around the house or jobsite with one of these strapped to your utility belt. The chuck size is 3/8”, so if you need to drill holes larger than that, you will have to use a reduced shank drill bit, step drill bit, or a hole saw. Check out the DEWALT DW1354 14-Piece Titanium Drill Bit Set if you’re interested in drilling holes larger than 3/8” through metal or wood. This set includes a 0.5-inch drill bit, and all 14 bits feature titanium pilot points for heavy duty drilling and longer lifespans. The pilot point tip starts drilling on contact, and prevents walking. And, the tapered web design resists breakage. The DW1354 drill bit set is fully compatible with the BLACK + DECKER LDX120C cordless drill. Moving back to the LDX120C cordless drill, let’s discuss its speed control and reverse function. The squeeze trigger is easy to press, doesn’t require much pressure but isn’t so light that you will activate it by accident. Speed control is fairly accurate, and we love the fact that BLACK + DECKER have thrown in a 11- stage torque clutch to give the user ultimate control when it comes to driving screws. No more stripped screw heads, no more cracked walls and boards- there are 10 different torque settings for driving screws, and an 11th torque setting for drilling. If you aren’t a DIYer or professional, you can simply leave the torque adjuster on “drill” mode, which will suffice for most household tasks, even basic screw driving stuff. There is a little LED light located on top of the pistol grip, this light turns on whenever you squeeze the trigger and can come in quite handy if you’re working in low-light settings. The reverse function can be accessed through a switch located on top of the trigger, close to where your thumb rests on the grip. The LDX120C comes with one driver bit that is stored in a little cutout section on the base of the grip. In terms of performance, the LDX120C is quite impressive- it can drill through a pine 2 x 4 wooden board with both 3/8” and 5/16” bits. Although, it does tend to struggle towards the end when you use a 3/8” bit. We recommend that you don’t use drill bits larger than 5/16” while drilling through thick material. The LDX120C can drive 2” drywall screws through 2 x 4 pine pretty smoothly, and it can also unscrew the very same 2” drywall screws with ease using the driver bit that is provided along with the drill. The default 1.5Ah, 20V MAX Lithium Ion battery should be more than enough for occasional drilling tasks. 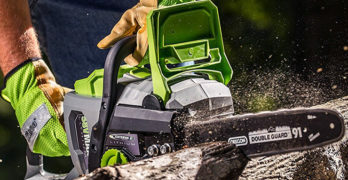 However, if you plan to take on larger projects such as building a deck, setting up a shed, or renovating a room, you might want to consider the more heavy-duty BLACK+DECKER LB2X4020-OPE 20V 4.0Ah extended battery pack. This should provide nearly twice the runtime of the default battery pack (the 1.5Ah LBX20), and we highly recommend it if you a seasoned DIYer. designed for a wide range of drilling, driving and hammer applications. The Makita XPH102 is a hammer drill designed to be robust, powerful, and easy to use. It is capable of drilling through concrete, steel, wood, and plastic. There are plenty of features implemented into its design that significantly enhance the durability of this drill, such as XPT (Extreme Protection Technology). XPT is found only on prosumer/ commercial grade tools from Makita. Thanks to its improved dust and water resistance, you can use the XPH102 in harsh working conditions with zero hesitation. It is powered by a Makita built 4-pole DC motor, capable of generating up to 54.23 Nm of torque- more than enough for drilling through steel or concrete. The motor can run at two different speed settings, allowing you to employ the XPH102 across a wide range of drilling, driving, and hammer applications. In low speed mode, the motor can spin at 0 – 600 rpm and the hammering mechanism generates up to 9000 BPM (Blows per minute). When you switch into high speed mode for drilling through thicker and harder materials, the motor will go all the way up to 1900 rpm, and the rotary hammer maxes out at 28,500 BPM. Despite being so powerful, the Makita XPH102 is surprisingly compact and lightweight. It measures 7.75 inches long, and weighs only 3.9 pounds with the battery installed. The rubberized soft grip reduces operator fatigue while working, and ensures that you have complete control over the drill whenever it is in motion. There are built-in dual LED lights on the underside to improve productivity in low light-light situations, and the all metal gear construction ensures high durability and longer lifetimes. The ½” keyless chuck will accept a wide range of drill, screwdriver, and hammer-drill bits. Comes with a hard carrying case and reversible belt clip which can attach to either side of the tool. This cordless Makita drill uses a 18V LXT Lithium Ion battery (3.0 Ah), and you also get a Rapid Optimum charger when you purchase the XPH102. We highly recommend Makita cordless drills because of their amazing durability, powerful motors, and extremely advanced 18V LXT battery platform. Part of Makita’s ever-expanding 18V cordless tools lineup, the XPH102 cordless drill spends less time charging and more time working. This is all because of how amazing the LXT 18V ecosystem is, every part of it is designed to perfectly work together at maximum efficiency. It all starts with the batteries- LXT lithium ion batteries provide up to 50% more runtime when compared to 18V Ni-Cad batteries, and are equipped with Star Protection systems that ensure faster charging and constant power delivery across a wide range of temperatures (these batteries can work even at -4°F/ -20°C). 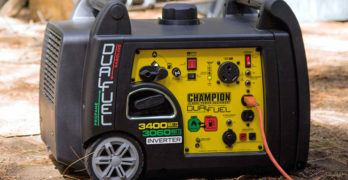 The Rapid Optimum charger (that you get along with the XPH102 drill) is designed to accept authentic Makita LXT 18V batteries only, and is integrated with computer controls that scan the battery for overheating and carefully regulate voltage/ current flow to ensure the fastest possible charge times (up to 3X as fast as older charger designs). Makita even equipped the Rapid Optimum charger with a cooling fan that lowers the temperature of docked batteries to an optimum level, speeding up charge times. LXT 18V batteries have a computer chip built into them which communicates with the rapid charger, sending data on temperature, discharge rate, etc. to ensure longer lifetimes and a full charge in under 30 minutes. These batteries have the fastest charge times and longest runtimes, so you get the most for your money whenever you purchase a Makita cordless tool. High performance motor delivers 300 unit watts out (UWO) of power. With 16 different torque clutch settings and a dual speed motor, the DeWalt DCD771 drill-driver is a brilliant choice for DIYers and homeowners who need tons of functionality and lots of power in a compact package. It measures nearly 9.8” in length, and weighs about 3.9 pounds with the battery attached. The DCD771C2 is a drill-driver kit that contains the DCD771 cordless drill, two 20V MAX lithium ion batteries, and an AC charger. All of this comes packed within a DeWalt contractor bag. What really stands out about this particular drill-driver kit, is its MAX lithium ion battery system. Unlike standard lithium ion batteries used in most cordless tools, the DeWalt MAX platform is designed to deliver longer runtimes and can work under extremely harsh conditions. Even better, you get 2 batteries when you purchase the DCD771C2 kit. This may not seem like a very big deal, but for the price that you are paying it is extremely hard to find another quality compact drill-driver kit on the market that offers two batteries. The benefit to having 2 batteries instead of one is pretty obvious- you can swap them out and work with one attached to the drill while the other one is charging. This way, you increase your productivity without having to take breaks in-between work for recharging the battery. The charger that comes with this kit (the DCB107) is one of the most compact AC chargers we have seen from any drill manufacturer. It has two lights, one that glows red when the battery is charging, and the other flashes green upon completion. The two batteries that you receive within this kit are both 1.5 amp-hour, 20V MAX lithium ion batteries (model DCB201). Each battery should last for between 15 minutes to half an hour, depending on the amount of load that you put on the DCD771 drill-driver. The DeWalt 20V MAX lineup contains over 100 cordless tools, and if you already own a 20V cordless tool from DeWalt or are planning to get one (other than the DCD771C2 kit), the two batteries that you get with this cordless drill should come in pretty handy. Moving on to build quality- the DeWalt DCD771 drill-driver is not exactly professional grade, nor does DeWalt claim that this is a high-end drill-driver. Instead, they are targeting it towards DIYers and homeowners who need to do some light projects or occasional drilling work. Of course, it can also be used by plumbers, remodelers, electricians, mechanical contractors, and pretty much anyone who wants a compact drill driver for working in restricted spaces. There is a LED light on the underside of this drill, it helps out a lot while working in dimly lit places. The DCD771 has no issues driving in 2-inch deck screws, and the half inch ratcheting chuck grips onto bits very tightly. The top of the drill features a sliding switch that allows you to choose from one of the two different speed settings, and there is an ambidextrous switch on the grip that lets you spin the drill in reverse. 20V Max – 2-Tool Combo Kit : Best cordless drill. 1/2″ two speed drill/driver. High performance motor delivers 283 Units Watts Out and 0-350/0-1,500 RPM. Compact design 8.25″ long and 3.5 lbs. Drill features an ergonomic handle design, LED light and bit storage. The Porter-Cable PCCK604L2 combo kit contains 2 different tools, two 20V MAX lithium batteries, and an AC charger, all packed into a soft kit bag. The two tools that you get in this kit are the PCC601 ½” compact drill-driver, and the PCC641 ¼” hex impact driver. You also get two PCC681L 20V MAX lithium ion batteries, and a PCC69L standard AC charger. Now, you might be thinking that this kit will cost you a fortune because it contains 2 different cordless tools as well as a couple of batteries. Well, here’s the fun part- you can get all of this for the price of just one compact drill-driver. That’s right, a premium cordless drill-driver from a well-known brand such as Makita or DeWalt will set you back by about 100 to 150 dollars. But the Porter-Cable PCCK604L2 2-tool combo kit can be yours for roughly the same amount, and you get both a drill-driver as well as impact drill, along with two 20V MAX lithium ion batteries. So, what about the actual tools themselves? Are they good? The Porter-Cable PCC601 ½” compact drill driver is an amazing tool for DIYers and plumbers/ electricians who need plenty of driving and drilling power in one compact package. Its brushed DC motor puts out up to 283 watts of output power, and is connected to a dual speed gearbox that makes the ½” keyless chuck spin in one of two different speed ranges- low (0 – 350), and high (0-1500). The PCC601 drill-driver is about 8.25” long, and weighs just 3.5 pounds with the battery attached. It features an ergonomic handle and LED light to assist with work in low light conditions. It also features a 24-position slip clutch to control torque for various driving applications. One of the really cool design features that might go unnoticed by most, is the rubber guard on the sides and rear of the drill. These guards are present on both the impact driver as well as the drill-driver, and what they do is protect the plastic housing from getting cracked whenever you drop the drill on the floor or onto the back of your truck, etc. The backs of most cordless drills contain ventilation grills that often tend to get damaged after a while, especially if you work on a jobsite. Both the PCC601 and PCC641 are equipped with protective rubber covers on the rear, where the ventilation fins are located. Another neat little feature is the magnetic bit holder on top of the PCC641 impact driver- especially useful when you’re working alone in small, restricted areas. The impact driver (PCC641) delivers 163 Nm of torque, and can go up to a speed of 2800rpm, and 3100BPM (blows per minute). The reverse function is accessed through a positive action switch located above the trigger, and when you set it in the middle position, it will lock the trigger, kind of like a safety system. The best part about the PCC641 impact driver has to be the quick release metal chuck which lets you easily swap out bits with just one hand. Both the PCC641 impact driver and PCC601 drill driver are equipped with LED lights, and we all know how useful these lights can be when you are working in dimly lit places. Ultra-lightweight and powerful. Great for tight spaces. Bosch markets this tool as the “most compact 18V ½” drill-driver on the market”. It is part of their new lineup of 18V cordless tools, and we are here to tell you if the DDB181 is actually the right driver-drill for your needs. Starting off, let’s talk about what you get in the package. The DDB181-02 kit includes the DDB181 driver-drill, two 1.5 Ah 18V SlimPack lithium ion batteries, an AC charger, a screwdriver bit, and a soft carry bag. The nice part about this drill is that it will accept any 18V Bosch battery, so if you have any older 18V Bosch tools in your inventory, the DDB181 will accept their batteries too. While most cordless drills have the LED light underneath the torque adjustment collar, the Bosch engineers decided to go ahead and put it right at the base of the handle instead. It may seem like a small thing, but we noticed that the light is spread much more evenly in front of the drill and is also easier to focus. Moving on, let’s talk about the product dimensions, since Bosch claims that this is one of the most compact 18V driver-drills out there. It measures just 7.1” in length, and stands 7.75” tall, is 1” wide, and weighs about 3 pounds with the battery installed. If you read out these dimensions to a seasoned professional or DIY enthusiast, you could fool them into thinking that this is a 12V cordless drill with a 3/8” chuck. But in reality, it is a 18V drill-driver with a ½” chuck, designed for small to medium size drilling and driving applications. You can use it for DIY work, installing drywalls, setting up furniture, installing grills, plates, etc. It is an extremely handy tool to have as a plumber or electrician, since you will be working in tight spaces with little room to move around, and you need the most possible power in the smallest form factor. The DDB181 cordless drill is powered by a highly efficient DC motor that is connected to a two-speed gearbox. You can choose between slow (0 – 400 rpm) and fast (0 – 1300 rpm) speed settings for various drilling and driving tasks. The maximum torque output is 39.5 Nm, sufficient for driving 3” long coarse thread drywall screws lengthwise into a 2 x 4 board. 81 is powerful enough for most DIY and light – medium tasks despite being so small and lightweight. While the default batteries that you get with the kit are rated at 1.5 Ah, you can go out there and buy some 4.0 Ah 18V Bosch batteries which will power this drill just fine, but with much longer runtimes. There are 20 + 1 clutch settings so that you don’t strip screws or drive them too deep into the material, and the charger is equipped with ECP (Electronic Cell Protection) so it won’t overcharge the battery if you leave it on for too long. You can’t go wrong with Dewalt. Professional quality kit. Just like the PCCK604L2 from Porter-Cable, this too is a combo kit that contains a drill-driver and impact driver. The DCK240C2 combo kit is also priced close to the Porter-Cable PCCK604L2, and we shall point out some of the key differences between the two combos, and discuss the strengths/ weakness of either one. So, let’s start with the DeWalt combo kit- It includes the DCD771 drill-driver, we have already done a review for this particular tool earlier in the article. The other tool in this combo kit from DeWalt, is the DCF885 ¼” impact driver. Just like the PCC641 impact driver from Porter-Cable, the DeWalt DCF885 is equipped with a quick release hex chuck that allows for one handed bit loading/ removal. 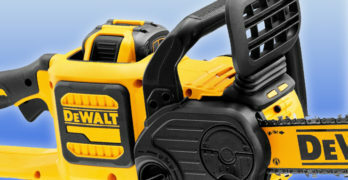 The Dewalt DCF885 is powered by a 20V 1.3Ah MAX lithium ion battery, two of which are included within the kit. The impact driver is just 5.55” in length, and weighs 2.8lbs for effortless handling in tight areas. It is worth noting that if you often find yourself working in dimly-lit and extremely tight spaces, the DeWalt impact driver is better than the Porter-Cable alternative because of its slightly smaller size and superior LED lighting system. While the Porter-Cable impact driver certainly has its own benefits (such as the magnetic bit holder on the top), the DeWalt DCF885 is equipped with a triple LED circle on the front that provided significantly better illumination in dark conditions, and it is also shorter in length compared to the Porter-Cable PCC641 impact driver. The DeWalt combo kit also comes with belt clips that you can attach to either side of the tools, and this little feature comes in super handy especially if you’re a professional who needs to move around with the tools or climb ladders, etc. While the Porter-Cable tools do have little holes on the base that are intended to be used for attaching clips or buckles, the clips themselves are not included within the kit and we find DeWalt to be the victor here when it comes to attention towards minute details. The DCD771 drill-driver which we have already reviewed earlier is obviously a great tool, and it can handle a wide variety of drilling/ driving tasks across various materials such as wood, sheet metal, plastic, etc. It features a ½” ratcheting chuck with carbide inserts for maximum durability, and has two different speed settings- low (0-450rpm), and high (0-1500rpm). The low speed setting on the Porter-Cable alternative (PCC601) goes slightly lower (0-350rpm), but its not that big of a difference. One thing to note is the difference in torque settings between the two drill-drivers, the Porter-Cable PCC601 has a 24-step clutch while the DeWalt DCD771 has a 16-step clutch. In conclusion, we would like to say that both combo kits from DeWalt and Porter-Cable are amazing choices, each with their own pros and cons compared to the other. The DeWalt combo might be slightly costlier depending on where you buy it from, but the impact driver in the DeWalt combo kit (the DCF885) is slightly better than the Porter-Cable PCC641. Illuminate your work area with the trigger-activated LED light. The Switchdriver’s two ¼” chucks rotate clockwise and counterclockwise 180° with the push of a button so you can move through projects quickly — no need to swap out tools mid-job. Includes : Switchdriver 2-in-1 Cordless Drill and Driver, two 20V 1.5Ah Power Share batteries, battery charger, one 1/8″ drill bit, one 3/32″ drill bit, and a #2 Philips driver bit, and a manufacturer’s 3-year warranty. his system allows you to load and unload bits with just one hand, which is a huge deal if you’re working on a ladder. The dual chuck head has a unique rotating mechanism that is activated through a little red switch located on top of the squeeze trigger. When you push this red switch, the head unlocks and disengages from the drive system, allowing you to select between drill and drive mode. You can swap out bits within seconds, and there is a full guard rail on the front to protect your hand from the bit hanging right in front. The WORX WX176L is powered by a 20V lithium ion battery and features an electronic 12-step torque control to prevent stripping of screws. Electronic torque control. Innovative, effective and very affordable. There is a dual speed selection switch on the top that lets you choose between slow and fast modes, and the entire unit weighs just over 3 pounds for easy handling. It comes with two 20V MaxLithium batteries, an AC charger, 2 HSS drill bits, and a 2” screwdriver bit. We find the WX176L to be incredibly good for home improvement and DIY work, and it is also great for electricians or plumbers who need a tool that can be carried around easily. The WX176L is one of a kind, and there is no other drill-driver on the market that lets you switch between drilling and driving tasks so seamlessly. Easily load bits with just one hand, no need to stop in the middle of work so you can switch between drilling and driving bits. The contoured handle is extremely ergonomic and reduces operator fatigue, while the LED light ensures improved visibility in low-light situations. How Does a Drill Work? There are many types of drills out there, and each one has unique functions or characteristics that make it better for specific tasks. Hammer drills are the best for masonry and construction projects, impact drivers are the best when it comes to driving giant screws through thick materials, and drill-drivers are the best for simple drilling and driving applications that don’t involve concrete, stone, cement, etc. But the basic underlying principles behind each of these variations of a simple power drill is quite similar, and all of them contain the same core components- a power source, a motor, a gearbox, and a chuck. Let us talk a little bit about what each of those components work, and their role in the functioning of a drill. This is located at the base of the grip in most cordless drills, and is the power source for a cordless drill. It contains electrochemical cells that generate electric energy from chemical reactions, and the amount of electric energy that a battery can store is determined by the type of electrochemical used in it. There are three types of batteries that you’ll find in cordless tools, and the most recent type is the lithium ion battery which is found on most modern cordless tools, including drills. Chances are, if you are purchasing a drill, it will be powered by a lithium ion battery. Still, it is worthwhile to inform you about NiCd and NiMh batteries, since they were used in most cordless tools up until a few years ago, and you might still encounter a few previous generation cordless tools that use NiMh batteries. Each type of battery has its own characteristics. For example, Nickel Cadmium batteries (the oldest type, used in the first generation of cordless tools), are the heaviest. NiCd batteries are also the most hazardous type, because they contain cadmium- an extremely toxic metal. However, they do tend to be cheaper than their Li-Ion counterparts, and also have the longest lifespan of all 3 battery types. But this longer lifespan comes at a severe cost: NiCd batteries have a high self-discharge rate, i.e. they tend to lose charge very quickly when sitting idle. NiCd batteries also suffer from memory effect, which means that the battery will not perform at full efficiency if it is not drained completely before each recharge cycle, and as the battery loses charge, it will also supply less voltage and you will notice a power drop in the tool that you are using. The next generation of rechargeable batteries were NiMh (nickel metal hydride). These are lighter than NiCd types, and the most environment friendly of all. However, these suffer from shorter runtimes and perform poorly in low temperatures compared to Li-ion or NiCd batteries. The 3rd and final rechargeable battery type found on cordless tools is Lithium Ion (Li-Ion). These are the lightest and highest performing batteries developed to date, and we are still figuring out the limits of Lithium Ion technology. Li-ion batteries can perform in low temperature conditions, they are relatively environment friendly compared to NiCd, don’t suffer from “memory effect”, and have a very low self-discharge rate which means they will retain charge for much longer when not in use. The downsides of Li-Ion are the cost, and risk of explosion if exposed to hot temperatures (never leave these out in direct sunlight for extended periods of time). All modern power drills (corded as well as cordless) are equipped with squeeze triggers that allow you to precisely regulate the rpm of your drill. Squeeze the trigger slightly, and the motor will spin the chuck slowly, fully depress the trigger and you will hit max rpm. The speed control module is located behind the spring-loaded trigger, between the motor and the battery pack. The core of any cordless tool is its motor, this is what generates that rotational force which forces the drill bits through the work material. There are many types of electric motors, each with its own unique characteristics. Most entry to midrange cordless drills use universal motors, these are commutated series-wound motors that can run on both DC as well as AC power. The efficiency of a motor is defined by how much electric power consumed by the motor is turned into mechanical power. For example, brushed motors typically have an efficiency of 75 to 80%. The remaining 25 to 20 percent of electrical energy is lost in the form of heat. Brushless DC (BLDC) motors lack commutators and brushes, they use servo systems instead. There is a permanent magnet rotating around a fixed armature in BLDCs, which greatly increases efficiency (85 to 90% efficiency) of brushless motors compared to their brushed counterparts. Brushless motors also last longer since less friction and heat are generated (due to lack of commutators and brushes). Cordless drills that use brushless motors are typically professional grade and cost much more than your average DIYer or household drill. Brushless motors are found in applications that demand constant usage and long lifetimes, for example- the fans inside your computer, the motors in hard drives, RC cars, industrial engineering, motion control systems, etc. All modern drill-drivers contain a multispeed gearbox which helps regulate the torque and speed of the drill. Older drills that lack a torque adjustment system will often strip screws while driving them into wood, and will also tend to overdrive screws if you’re not careful. Driving a screw too deep can cause the material to crack or get weakened at that point, which is why torque adjustment is crucial to ensuring that you get the job done safely and securely. Gearboxes contain planetary gears which manipulate the speed at which the chuck rotates. he high-speed mode is used while driving thinner screws or for drilling pilot holes. Torque is adjusted through a collar located behind the chuck, is some unusual cases this may be located on the handle instead (like in the WORX WX176L Switchdriver). Modern cordless drills can have 20 step torque adjustment (or even higher), with one mode for drilling which basically engages the clutch completely for maximum possible torque in drilling applications. Depending on the thickness and type of screw that you are driving in, you can adjust the torque to make sure that the bit doesn’t grind on the screw head and strip it. This is the part of the drill that holds in the bits while drilling/ driving. Drill-drivers feature keyless 3-jaw chucks that accept both hexagonal as well as straight shanks. Impact drivers however, have chucks that only accept hex shanks. This basically means that you can’t use the same bits in an impact driver that you use on a drill-driver, unless it is a hex bit and ¼” in size (most cordless impact driver feature ¼” quick release hex chucks). The standard chuck size for a medium duty cordless drill-driver is ½”, the jaws are usually made from extra tough materials such as carbide so that they last longer. Smaller cordless drills (12V or 14V) that are designed primarily for light DIY work might feature ¼” or 3/8” chucks. The most common cordless tool in any professional’s inventory, the drill-driver is a combination of a power drill and automatic screw driver. It features a keyless 3-jawed chuck that accepts both straight and hexagonal shank bits, so you can attach a variety of bits to the tool such as spade bits, twist drill bits, hole saws, screw driving tips, etc. The primary feature that distinguishes a modern cordless drill-driver from an impact driver, is the torque adjustment system. This is the main reason a drill-driver is so good at driving screws of all shapes and sizes into several types of materials. The torque adjustment collar allows you to choose from up to 20 different torque settings (no. of torque steps can vary from model to model), the higher you go, the more torque is applied through the chuck. Drill-drivers are much more powerful than electric screwdrivers, so you can use them to drive construction screws, deck screws, drywall screws, etc. Drill-drivers can also drill through sheet metal, wood, and plastic. Although you can try to drill through concrete and brick with some specialized bits attached to your drill-driver, it is highly recommended that you use a hammer or combi drill for masonry work. 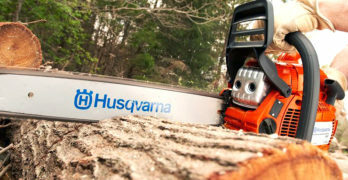 Specialized tool for power-driving screws of all shapes and sizes through the thickest, densest woods. An impact driver uses concussive force to pound the screw into whatever it is that you’re trying to drive it through, and can generate up to 3 times more driving torque than the average drill-driver. The impact driver is easily recognizable by its short barrel and stubby outline, and the unique quick release chuck that only accepts hex shanks. You will find that drill bits feature straight shanks, while screw driving bits have hexagonal shanks. In case you want to drill holes with your impact driver, you must buy specialized drill bits. Impact drivers are used in construction, garages (to mount and remove lugnuts/ bolts), and by plumbers/ electricians. Impact drivers lack a torque adjustment feature, although most of them feature variable speed modes. When you shop for an impact driver, you will have to take two different performance metrics into account- the rpm, and the bpm. Rpm is an indicator of how fast the chuck spins, while bpm tells you how many blows the percussion mechanism can generate per minute. Torque is also a deciding factor when you buy an impact driver, the more torque it has, the easier it will be for you to drive screws. Typical torque values for impact drivers range between 70 to 120 Nm. Despite this massive torque output, impact drivers are easy to handle and put very little strain on the arms and wrist compared to hammer drills or drill-drivers. These machines are just like standard drills on the inside, with a few additional parts- a hammer disk, and an anvil disk are attached to the drive assembly. The hammer disk is spring loaded such that when a sufficient amount of vertical force is applied by the user onto the screw, the spring contracts and pulls the hammer back. Then, as the motor spins, the hammer will get pushed down and comes in contact with the anvil disk. Both the hammer and anvil disks are keyed such that the hammer slams onto the anvil with a sudden and swift motion, causing a striking force to travel through the chuck and into the bit. This striking force also causes the anvil to spin, which in turn spins the chuck. Thus, for every revolution of the motor, the hammer strikes the anvil twice and spins it in short bursts, while also applying a slight blow that amplifies the amount of torque put into the screw. The key takeaway here is that an impact driver doesn’t just apply rotational force, but it also hammers it in with short and swift blows. If you need lots of torque while driving screws, then a cordless impact driver is perfect for you. Combi drills are used primarily for drilling through concrete, brick, ceramic, stone, etc. Basically, if you want to drill through stuff that is extremely hard yet brittle, then a hammer drill is what you need. Unlike an impact driver which relies on concussive force to both turn and pound the bit at the same time, a hammer drill has two separate mechanisms that work in tandem to generate rotational and percussive force. It is like combining a jackhammer with a drill- you get the spinning motion of a drill, along with the hammer action that forces the bit through stone and concrete at a rate much faster than a regular drill could possibly achieve. While the impact driver relies on a spring-loaded hammer disk and keyed anvil to generate percussive motion, combi drills use special pneumatic chambers with pistons inside them to produce the back and forth hammer motion. Not only is the pneumatic system capable of generating more blows per minute (BPM) compared to an impact driver, but it also strikes harder. The best part about a combi drill is that you get to choose when you want to hammer, and when you just want to use it like a normal drill. Impact drivers are larger, heavier, and more expensive than drill-drivers. 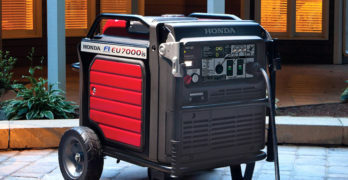 They are also designed to be tougher (for use on construction sites), and feature specialized motors that are capable of running for extended periods of time without overheating. Always wear safety glasses while operating a cordless drill, especially while drilling through metal or concrete. Don’t forget to wear gloves and leather boots, as tiny metal shards strip off from the drill bit while drilling through hard materials, and can get stuck in your hands or feet. Never try to swap out bits without engaging the spindle lock or trigger safety. On most drills with a 3-position direction control (forward, lock, and reverse), safety can be engaged by putting the switch in the middle position. Always make sure that you store the Lithium-Ion battery in a cool and dark place. Placing it near a radiator or under direct sunlight might cause the battery to catch fire or explode. Only use manufacturer recommended batteries, using batteries of incorrect voltage in the tool or charger can result in damage to the charger and drill. Always maintain the correct posture while using a cordless drill, hold the tool securely with both hands and make sure that you aren’t standing on an uneven surface. Drill-drivers and combi drills can put out a lot of torque, and if you aren’t careful, you could easily injure your wrist or hand. Use the right bits for each task, do your research on which bits are appropriate for what task before you slide them into the chuck and start the drill. Using incorrect bits will result in spoiled projects, and a damaged drill. To get a cleaner hole, place a piece of scrap wood behind the board that you’re drilling into. This will prevent wood fibers from tearing up around the exit hole. If you’re trying to drive a screw into really dense wood, rubbing the screw threads with some bar soap can really help out. Generally, you use higher clutch settings to drive in thicker screws and lower clutch settings to drive in thin screws. When you hear the ratcheting sound of the clutch slipping, it means that the torque setting you chose has reached its limit and cannot drive the screw any further. Never try to force the drill through the wall or board, it will only damage the bit and result in a messy job. Let the drill move through at its natural pace and be patient- only apply as much pressure as needed. Keep your drill bits sharp, and the battery charged. Before starting the cordless drill, inspect the chuck to make sure that all the jaws are intact and open/ close properly.